Rangers fans were hoping for a big splash during yesterday's trade deadline. What they got instead were a pair of minor deals which will only help the team incrementally. For the first deal of the day, Glen Sather brought in 27-year-old Christian Backman from St. Louis in exchange for a forth-round pick. Backman is a former first round draft pick in 1998 and has spent some time this month on the injured reserve as the result of a chipped bone in his foot after blocking a shot February 1. Backman is not the first-pair defenseman most fans craved, however he will fill in for Paul Mara for the next two weeks while he recovers from facial surgery. Also this move also means the Rangers will not have to use Jason Strudwick during the playoffs and Backman and Marek Malik will compete for the sixth defensive spot on the roster. The other deal the Rangers pulled off was a five-player swap with the Phoenix Coyotes. They sent Marcel Hossa and goalie Al Montoya to the desert in exchange for Fredrik Sjostrom, another first-round pick from the 2001 draft, Josh Gratton and goaltender David LeNeveu. 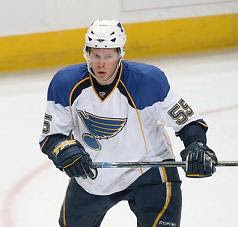 Sjostrom is a 24-year-old right winger who will essentially take Hossa's spot on the roster. This deal is not much of an upgrade, but it means a roster spot isn't taken up by a player who has been limited to 36 because of a bad back. It also means that Strudwick will not be forced to play wing if the team is short of wingers. Gratton, nicknamed the “Chin Of Steel,” is an excellent enforcer who has 237 penalty minutes in 67 career NHL games. He may not see anytime on Broadway this season, but serves as insurance in case Colton Orr's upper body injury costs him significant time. LeNeveu looks like a throw-in on this deal. The Rangers probably requested him to take Montoya's place in Hartford as Miika Wiikman's backup. Montoya's days as a Ranger were up since the emergence of Wiikman as the starting goalie in Hartford and the six-year contract extension of Henrik Lundqvist. These deals might have come up short of the expectations fans had for the deadline, however they are typical of the types of moves Sather has made since the lockout. Since the Rangers started “rebuilding” after the lockout the biggest splash has been a deal sending Maxim Kondratiev to Anaheim for Petr Sykora. Hardly a big time deal, but it represented addition by subtraction on the blue-line and provided the Rangers with more speed on the wing. Last season the Rangers made two moves in February and neither were blockbusters. The Rangers sent Jason Ward to Los Angeles for Sean Avery in a move which was meant to bolster the strength of a weak team. The other deal was of the same ilk as they sent a disappointing defenseman, Aaron Ward to the Bruins for Mara. Neither of those deals seemed like much at the time, but the small upgrades paid off as the Rangers finished off the 2006/07 season with a bang. Other deals have been small as well. Swapping Ville Nieminen for San Jose's third-round pick then sending that pick to Anahiem for Sandis Ozolinsh. Also there was the deal which sent Adam Hall to Minnesota for Pascal Dupuis only to sent Dupuis to Atlanta just days later for Alex Bourret. Sather has established a pattern of making deals which upgrade troubled areas instead of trying to change the face of the organization all at once. These low-risk/high-reward moves have paid off in getting the Rangers to the playoffs two years in a row while not risking to future. The Rangers of the 21st century no longer trade the farm for Eric Lindros or Pavel Bure and instead they have waited until July to add the big names like Brandon Shanahan, Scott Gomez, and Chris Drury.